I love the cool weather that comes in October, but I hate what it does to my skin. My heels, ankles, knees and elbows all become dry and cracked. They sometimes even bleed. I need more than just standard lotion. I need something like shea butter. What is African Shea Butter? It is extracted from the nut of the African shea tree. Natural shea butter is an excellent moisturizer for the face and body and is widely used for hair treatments. It is also well known for its natural healing properties. 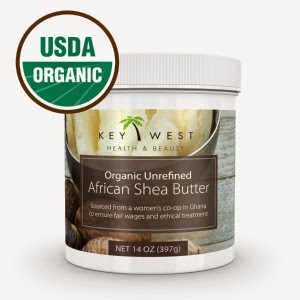 Key West African Shea Butter is shea butter that is in its raw (or unrefined) state. It is processed by hand using water extraction and screened for impurities, resulting in the highest quality grade A shea butter. 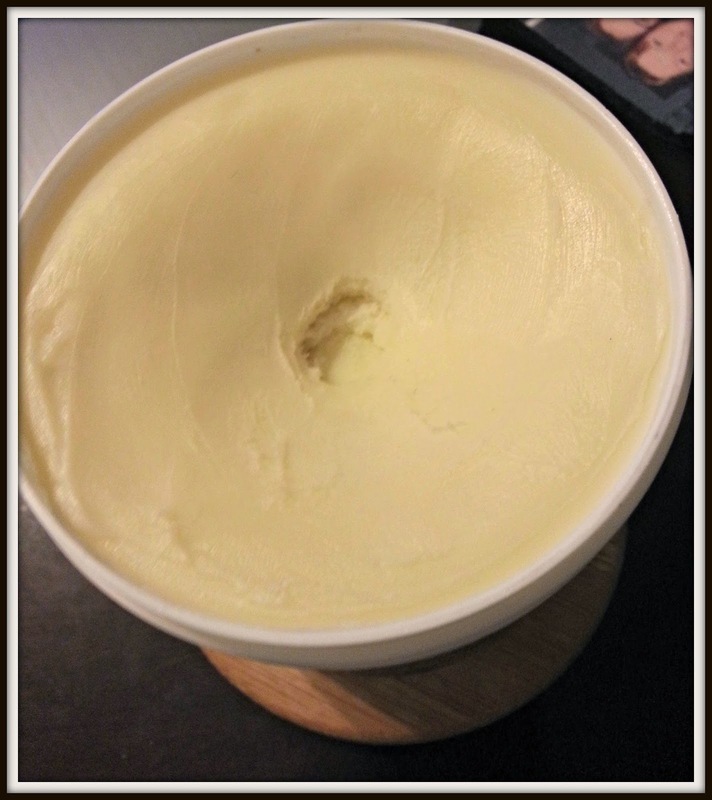 The shea butter is 100% natural, certified $A organic and does not have any added dyes or synthetic ingredients. It is sourced from a local women’s co-op in Ghana to ensure fair wages and ethical treatment....which is awesome! It comes in a large 14oz (that is almost a pound!) BPA free container. I have only tried processed shea butter in the past. 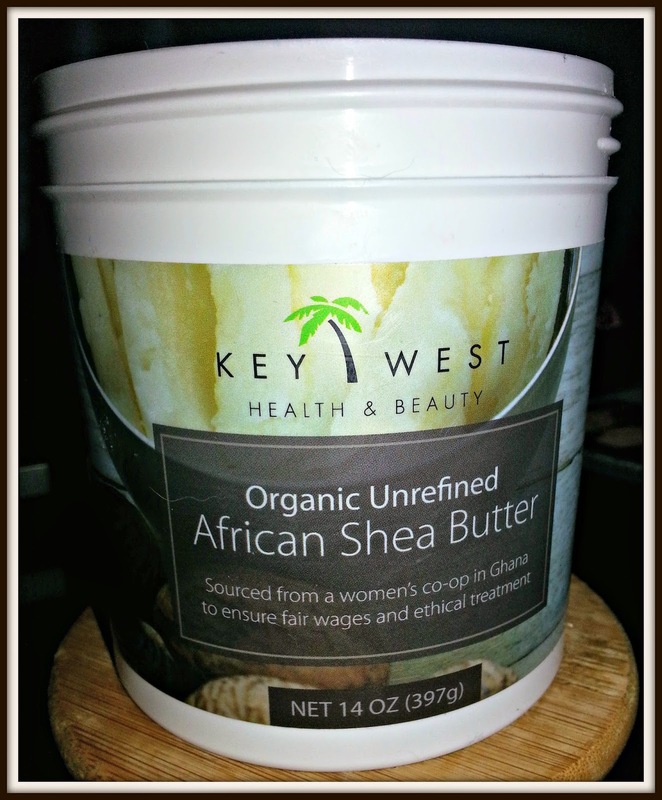 I definitely like this Key West unrefined shea butter a lot more. It is in a hard solid form and you just dip your fingers into the jar and a little bit comes off on your fingers. A small amount of this shea butter goes a long way. It has a faint natural scent that is nice and doesn't seem to linger. Key West Shea Butter is extremely moisturizing and it seeps into your skin, so it moisturizes for a long time. It also warms up if you rub it in between your hands. You can see how full this container is and I have used it at least a dozen times. So, this container will last for a long time. You can also use this shea butter in recipes to make lotions, sugar scrubs, hair conditioner, whipped shea butter, lip balms and more. You can even find recipes on the Key West Youtube page (click on the icon at the top right of their website). Key West also has a sale going on right now. Make sure that you check them out and slather yourself in some African Shea Butter. Your skin will Thank You! I was concerned about the smell when I read the title of your blog post. Good to know that the scent does not linger and that is actually a natural scent. Thanks! I love solid form better to in a jar like this, lathering very well, and so enriching for the skin. I have never tried out shea butter, but during this cold season I am definitely going to check them out. My skin is so dry this season, more than ever! It is hard to manage especially since I work in the healthcare industry. I really love that this is unrefined, too. Shea butter is amazing on dry skin! My skin is always dry, and it's much worse in the winter. This would be great. I think I would have a heck of a time getting through all of that shea butter even though I LOVE the stuff. Mind you, you have a good idea regarding the DIY beauty recipes - hopefully that will use a lot of it up!